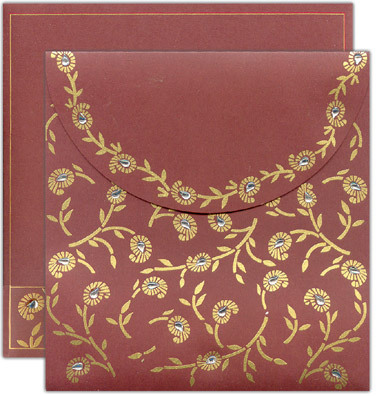 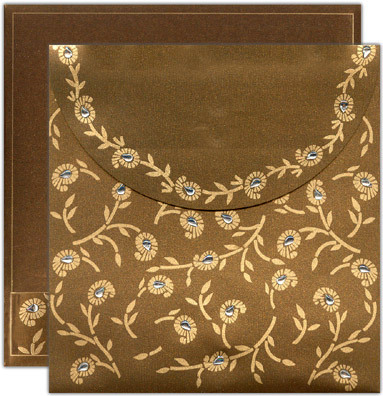 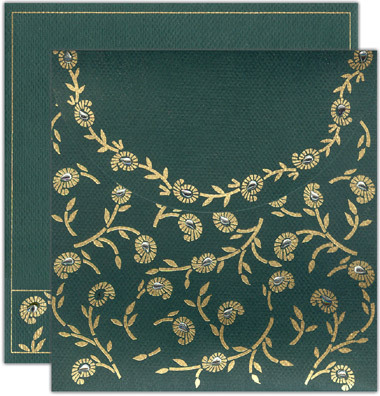 Size: 8.75" by 9"; weight: 80gms; Textured handmade paper folding docket card, 2 inserts & envelope (200gsm each). 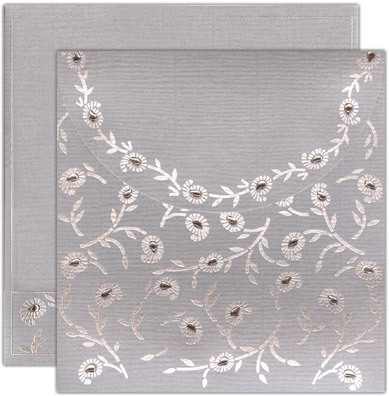 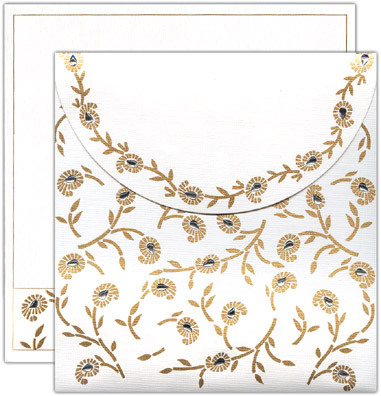 Golden or silver floral design with crystal work. 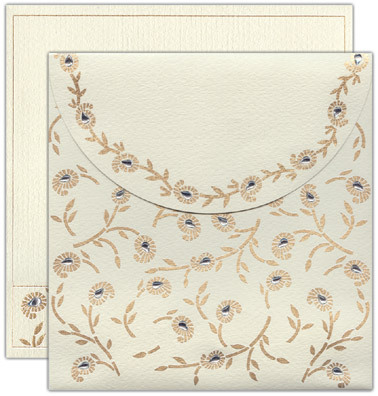 The inserts have golden or silver borders. 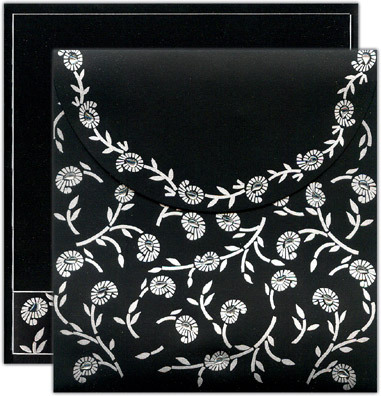 The envelope has a strip border on the front with crystals.